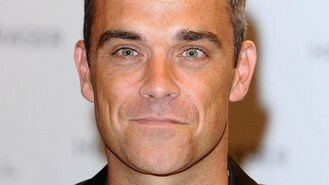 News - Robbie Williams set for X Factor? Robbie Williams set for X Factor? The pop star, who has previously performed on the TV talent show, has been lined up to judge young hopefuls alongside permanent judges Gary Barlow, Louis Walsh and Tulisa at the London auditions, reports The Sun. Tinie Tempah, Alicia Keys and Gwen Stefani are also tipped for judging slots, and Geri Halliwell is due to join the other panellists for one night at the Liverpool auditions. The guest judges will be filling the seat left vacant by former Destiny's Child star Kelly Rowland, who will not be returning to the show. It was thought Dannii Minogue might return to the programme, after it was revealed that she was considering making her X Factor comeback despite disclosures that she and show boss Simon Cowell had an affair. However, last week it was reported that talks with the former panellist had ended, and show bosses confirmed she would not be returning. Auditions for the new series of The X Factor start this week and it is not yet known who will be taking over from Kelly as a permanent judge.